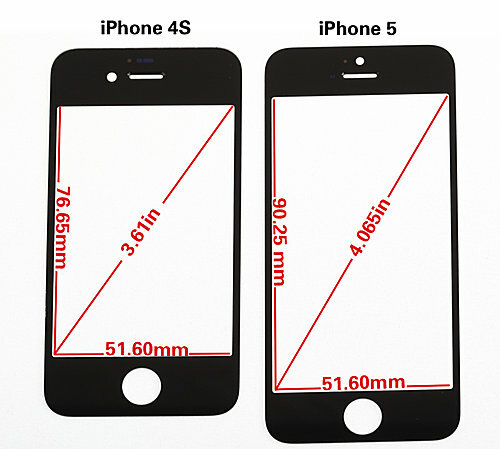 What Does The New iPhone Look Like Compared To The 4S? 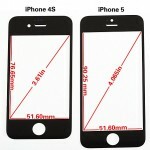 The next iPhone’s glass lens is the same as the one on the iPhone 4S. However, the lens is 0.1mm thinner. The transmittance of the new iPhone is higher than that of the iPhone 4S. The camera hole, as has been previously rumored, is now on the right middle above the receiver, not on the left side. The light sensor is now on the left side of the receiver and is smaller. The diameter of the home button has narrowed 0.3mm, as has the area around the button.